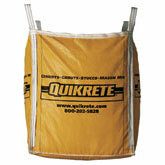 QUIKRETE® Veneer Stone Mortar (No. 1137) is a portland cement and hydrated lime based mortar designed for veneer applications and tuck pointing of manufactured and natural stone. Also available in Polymer-Modified and Natural Stone formulas.